Orthodontics can help patients of all ages who want to straighten their teeth or correct problems with their bite – the way the jaws meet together. At our Weybridge practice, we offer a wide range of orthodontic treatments to correct everything from mild alignment problems to complex bite-related issues. The majority of our orthodontists are specialist-qualified, and all are members of professional organisations including The British Orthodontic Society and The World Federation of Orthodontists. If you are looking for advice about orthodontics or specialist treatment, our Weybridge-based team can help. We offer free NHS orthodontics for children who qualify under the Index of Orthodontic Treatment Needs, and also provide private orthodontic treatment for patients of all ages, and for those young people who do not wish to be placed on an NHS waiting list. Many younger patients are treated with Gemini braces, which come with coloured elastic bands for the ultimate in customisation. You can choose from a wide selection of colours and have all one colour or several colours – whichever you prefer. For adults and those seeking more discreet treatment, there are a number of invisible and near-invisible options available at our Weybridge practice. These include clear aligners such as Invisalign, clear or tooth-coloured braces, and Incognito lingual braces. What are the differences between treatment options? Because orthodontics can be used to treat a huge range of alignment problems, the best option for your treatment will depend on the type and amount of correction required. All patients will have an initial orthodontics consultation, at which your orthodontist will recommend the best options for you. Incognito lingual braces are fitted to the back of your teeth so nobody will see them. They can treat even complex problems. Clear braces such as Damon and ceramic braces such as Clarity can also be used to correct many different conditions. They are barely noticeable in the mouth. Invisalign clear aligners are another highly discreet option, applying the traditional principles of orthodontics to removable aligners. If you are suitable for treatment with Invisalign, you will be given a series of these aligners that are custom-made to fit your teeth as they move. You will need to change your aligner every two weeks. At our Weybridge practice we also offer treatment with RXaligners, which are also clear and removable and can correct crooked, misaligned or overlapped teeth. If you are interested in orthodontics in Weybridge, please contact us to book a consultation. This entry was posted in Orthodontics on 10th February, 2016 by Weybridge and Kingston. At Weybridge Orthodontics we’re finding more and more people are interested in treatment with Incognito lingual braces. These are a highly discreet method of moving your teeth, applying the traditional principles of orthodontic treatment combined with maximum discretion. Here are some common questions patients have about Incognito lingual braces. If you have any further questions, please don’t hesitate to contact a member of our Weybridge orthodontics team. What is a lingual brace? Lingual braces such as Incognito use the tried and tested techniques of orthodontics to correct a wide range of tooth alignment problems. Braces comprise brackets and wires that gently move your teeth into a new, more desirable position. The major difference is that lingual braces are attached to the rear surfaces of your teeth, meaning that nobody will see them, and nobody need know that you are having orthodontic treatment, unless you choose to tell them. Who can have treatment with Incognito braces? Incognito lingual braces are suitable for all age groups – children, adults and teenagers. They are only available to private patients. Are they just for cosmetic purposes? No. Incognito braces can treat a huge range of orthodontic problems, from mild issues to more complex cases. To find out if this is the best treatment option in your case, book a consultation at our Weybridge orthodontic practice. Your treatment time will depend upon your individual needs, because each patient’s case is different. However, by using advanced technology and customised brackets, your teeth will be moved in a highly efficient manner. How will my lifestyle be affected? Again, every patient’s experience will be different. A small number of patients experience a minor speech impediment for the first couple of weeks, which will improve over time. If you play a wind or brass instrument you may need to adapt your technique slightly whilst wearing braces. This entry was posted in Braces on 5th February, 2016 by Weybridge and Kingston. Many people wrongly assume that orthodontics is only for children and teenagers. This is not the case. At Weybridge Orthodontics we welcome patients of all ages who would like to straighten their teeth. For those looking for a more discreet option, we have a wide range of invisible and near-invisible braces and aligners, including popular brands such as Incognito braces and Invisalign clear aligners. At our Weybridge practice we are well aware that many adults who would like straighter teeth are concerned about wearing traditional braces, which while effective are also very obvious in the mouth. Fortunately, there have been huge advances in discreet orthodontics in recent years, meaning that in many cases it is now possible to straighten your teeth without anyone knowing, and with minimal impact on your lifestyle. Braces remain the best way to straighten teeth in many cases. They can correct more severe orthodontic problems than aligners. Lingual braces employ the traditional principles of orthodontics but modernise them for maximum discretion. They are placed on the back or lingual side of your teeth, meaning nobody will know you are wearing them. At our Weybridge practice we use Incognito lingual braces, which are the only 100% customised fixed appliance system for invisible orthodontic treatment available in the UK. Clear and ceramic braces are worn on the front of the teeth but, because they are tooth-coloured or clear, they are very discreet. We use the Clarity and Damon brace systems to treat many problems. Invisalign clear aligners fit over your teeth and are removable, for maximum discretion and comfort. This entry was posted in Orthodontics on 3rd February, 2016 by Weybridge and Kingston. Adult orthodontics patients who want to straighten their teeth may be interested in treatment with Invisalign clear aligners. At our Weybridge orthodontic practice, these aligners are just one of the systems we use to straighten people’s teeth using discreet orthodontics. 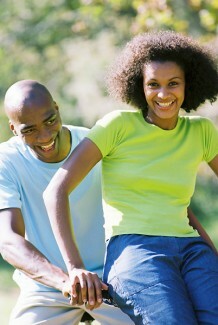 Straighter teeth are top of the wish list for many adults when asked what they would like to change about their smile. However, many are put off seeking orthodontic treatment because they wrongly think it will mean wearing obvious metal braces for a considerable period of time. At Weybridge Orthodontics we are keen to point out that this doesn’t have to be the case. Many tooth-straightening systems are now invisible or almost invisible. Invisalign is one of the most popular choices for adult patients here in Weybridge. Invisalign comprises a series of near-invisible clear aligners that fit precisely over your teeth to gently move them into a more desirable position. Each set of aligners is custom-designed to fit your teeth exactly. You will need to change your aligner every two weeks or so as your teeth start to move. What are the advantages of this system over other treatment options? We’ve already touched upon one of the major advantages of Invisalign – the fact that the aligners are nearly invisible, making this treatment highly discreet. Another huge advantage is that the Invisalign aligners are removable. That means that you can take them out to eat and drink, to clean, and to brush your teeth. This helps to allay concerns about dental hygiene that some people have with braces, because unlike standard braces the aligners require no special cleaning techniques. There is no metal in these aligners, which means there will be no discomfort from metal contacting the tongue or elsewhere inside the mouth. It also means the treatment is suitable for patients with metal allergies. This entry was posted in Invisalign on 29th January, 2016 by Weybridge and Kingston. Incognito lingual braces are an increasingly popular way for adults to straighten their teeth. At Weybridge Orthodontics an increasing number of patients are opting to use discreet brace systems to improve the alignment of their teeth and boost the appearance of their smile. Incognito braces use the traditional principles of orthodontics but revise them for the modern age. They are lingual braces, which means that they are attached to the rear surface of the teeth. Nobody will be able to see that you are wearing them, meaning that nobody will know you are having treatment – unless you choose to tell them. Like regular braces, Incognito lingual braces comprise metal brackets and wires that employ gentle forces to move your teeth into a more desirable position. They are one of the most popular orthodontic treatments at our Weybridge orthodontic practice, and are customised to the individual shape of your teeth and your dental situation. When you come into our Weybridge practice for a consultation, your skilled orthodontist will create a unique prescription to suit your needs, meaning that results are highly predictable. To design your secret braces, your orthodontist will use high-end 3D imaging technology to create a realistic digital mock-up, paying great attention to detail to ensure that your finished braces will fit your teeth perfectly. We have many happy patients at our Weybridge practice who will testify not just to the efficiency of Incognito lingual braces, but also to the high degree of comfort they provide. It is a common misconception that orthodontics is uncomfortable or even painful, but thanks to advances in techniques and technology, treatment is now more comfortable than ever before. If you are interested in straightening your teeth with Incognito lingual braces, why not contact a member of our Weybridge orthodontics team today? This entry was posted in Braces on 27th January, 2016 by Weybridge and Kingston. It’s never too late for orthodontics! Orthodontics is traditionally associated with children and teenagers. However, at Surrey Braces dental practice in Weybridge we are keen to emphasise that patients of all ages can benefit from orthodontic treatment. Whether you want aesthetic treatment to improve the appearance of your smile, are in need of tooth straightening to improve your oral health, or a combination of the two, we are here to help. Orthodontics? Doesn’t that mean metal braces? In a nutshell, not necessarily. Orthodontics has seen huge developments in recent years. At Surrey Braces in Weybridge our team of dentists and orthodontists have a huge selection of discreet devices at their disposal to correct a wide range of problems. Discreet orthodontics takes the traditional orthodontic principles and modernises them. By using clear aligners, tooth-coloured or clear braces, dentists are able to provide treatment that is almost invisible. At Surrey Braces dental practice in Weybridge our orthodontists have many options for adults interested in orthodontics. Let’s take a look at some of them. . .
Clear aligners are increasingly popular with patients and dentists alike. They fit over your teeth and can be removed for eating, drinking and to clean. Because they are made from clear plastic nobody will notice you are having treatment. Popular brands include RXAligners and Invisalign, both of which we offer at our Weybridge practice. You will be fitted with a series of aligners that you change regularly as your teeth move. The length of treatment will depend on the amount and type of correction required. Clear braces apply the traditional principles of orthodontics to move teeth, but use clear or tooth-coloured wires and brackets. At our Weybridge dental practice we offer the popular Damon and Clarity brace brands, among others. Treatment times will depend on how much correction is needed. This entry was posted in Orthodontics on 22nd January, 2016 by Weybridge and Kingston. In a world of selfies and instant photo sharing platforms, a picture-perfect smile is your best asset. Everyone wants to look good in photos. Some may have difficulty flashing the camera a photogenic smile—you might be one of them. Fortunately, you need not be a professional model to achieve that glowing grin. Scripted smiles do not have any place in your photographs. When it is time for a photo, just smile naturally. Do not overthink the way you should grin. Do so gently and in a relaxed manner. When you pressure yourself to come up with the perfect smile, chances are your smile will look put-on. A natural smile is the complete opposite of a quick grin. You open your mouth slightly and the curve of your upper teeth matches your lower lip. For the women, lipstick enhances your already beautiful smile. Keep in mind that the right shade of lipstick makes your teeth appear whiter. To find the right one, choose the shade that works best with your skin tone. The wrong one, on the other hand, makes your smile less appealing. Shades such as red wine, plum, rosy pink, wink or cherry are your best options. If you wish to hide yellow stains in your teeth, use pink-based or blue-based lipsticks. The picture-perfect smile sometimes calls for a little behind-the-scene preparations with the help of the nearest dental practice. From Weybridge Invisalign aligners to whitening, your options are endless. If your teeth are yellowing with age, in-clinic whitening from your dentist is the best solution. You can also correct your cracked, broken or chipped teeth with some implants or braces. Do not forget your gums as well. Keep them in good shape by maintaining good oral hygiene. Here at Weybridge Orthodontics, we can help you smile like models. Our services can transform your smile from a simple grin to a camera-ready beam. Book an appointment with us now and face the cameras with confidence. This entry was posted in Invisalign on 20th January, 2016 by Weybridge and Kingston. More and more adults who want to straighten their teeth with Invisalign clear aligners. At Surrey Braces dental practice in Weybridge, our dentists are highly experienced in using clear aligners to straighten teeth. Unlike other orthodontic options, Invisalign provides an entirely invisible way to correct a wide range of mild to moderate orthodontic problems. The aligners are made out of clear plastic that fits snuggly over your teeth, so nobody will notice you are wearing them. The Invisalign system is also removable, unlike fixed braces, meaning that you can take them out to eat and clean. This is beneficial to your dental hygiene, as braces can be difficult to clean around properly. If you are interested in straightening your teeth with clear aligners, the first step is to come into Surrey Braces in Weybridge for a consultation with one of our dentists. Should they agree that Invisalign is the best solution for your needs, your dentist will take impressions of your teeth and send them to the Invisalign laboratory in the USA. After approximately three weeks you’ll be called back to our Weybridge practice for a clinical check, using 3D models to show how your teeth are predicted to move during treatment. So long as you are happy with these predicted results, your dentist will prescribe a series of aligners, which you will need to change every two weeks or so as your teeth move. You will need to pay a deposit for the manufacture of your aligners; we have a range of payment options for you to pay off the balance over a period of 18-24 months. For more information about Invisalign treatment, contact our Weybridge practice today. This entry was posted in Invisalign on 13th January, 2016 by Weybridge and Kingston. Incognito braces are among the most popular orthodontic treatments at our Weybridge dental practice. They employ the traditional principles of orthodontics, but there’s one big difference: they are lingual braces, which means they are placed on the back of your teeth. This means that they are highly discreet. Lingual braces are suitable for correcting a wide range of orthodontic problems in patients of all ages. At Surrey Braces dental practice in Weybridge, we have used them to treat a wide range of orthodontic issues successfully. Incognito lingual braces work in the same way as conventional braces, using a system of wires and brackets to gently move your teeth into a more desirable position. The major difference is that they are placed on the back of the teeth, next to the tongue, meaning that nobody will know you are having treatment unless you choose to tell them. Although other lingual brace systems are available, Incognito is the only 100% customised appliance system for invisible orthodontics currently available in the UK. The latest technological advances are used to create braces entirely customised to the shape of your teeth and your dental needs. At Surrey Braces in Weybridge your orthodontist will create a unique prescription for Incognito lingual braces to produce the ideal results. As well as being able to smile with confidence during treatment without a hint of metal on show, Incognito braces also produce fantastic and predictable results, thanks to the 3D imaging technology used by orthodontists to create your bespoke set of braces. There is no need to remove your braces to eat and drink, and while it may take a few days for your tongue to get used to the braces, they are also renowned for being highly comfortable. As with all orthodontic treatment, you will need to ensure that you clean around your Incognito braces carefully. Your dentist or hygienist will be able to advise you on how best to do this. This entry was posted in Braces on 8th January, 2016 by Weybridge and Kingston.